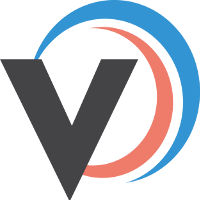 If a listing is Inactive then Veeqo can't pull in orders or push stock out to it, so it's worth following the steps below to make sure that one of your current live listings haven't been accidentally set to Inactive. 2. 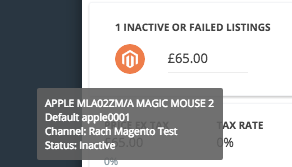 When the Product Summary opens, on the left of the window you will be able to see Inactive Listings attached to this product. 5. In order to prevent this listing from making the store logos ghosted you'll need to unlink it from the product. You can do this by pressing the red Unlink icon. The Inactive listing is no longer linked to the listing, which is reflected on the Products page. 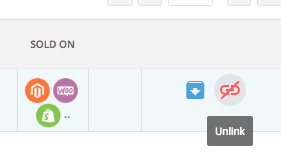 If the listing is a current active listing on your store, then instead of Unlinking (Step 5) press the Unarchive icon to make it Active again. Here is a number of reasons why your listings have become inactive.